Through 6/08 Stop & Shop has Colace 10ct. 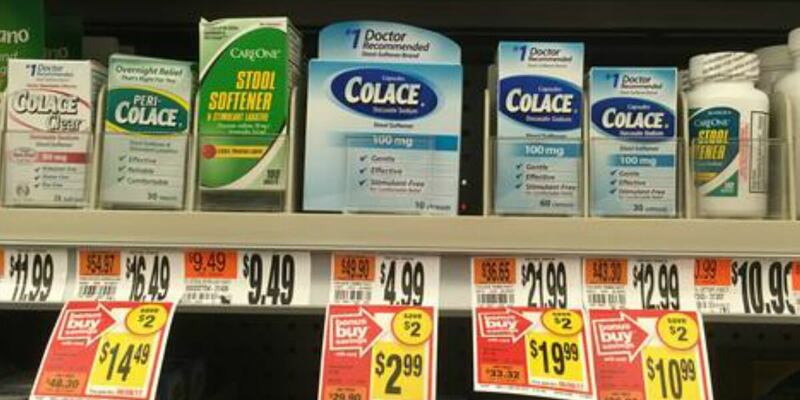 on sale for $2.99 each We have a $2/1 Colace Regular Strength, Colace Clear or Colace 2 in 1 product printable coupon available. After coupon we’ll pay just $0.99 each! We also have this awesome new $3/1 Colace Stool Softener, 10 ct. or larger. (Various Stores), Ibotta Rebate available. After stacked offers we’ll actually make $2.01 on this deal! Awesome! Giant – Martin Shoppers check your stores for a similar deal! as low as FREE + $2.01 Money Maker!